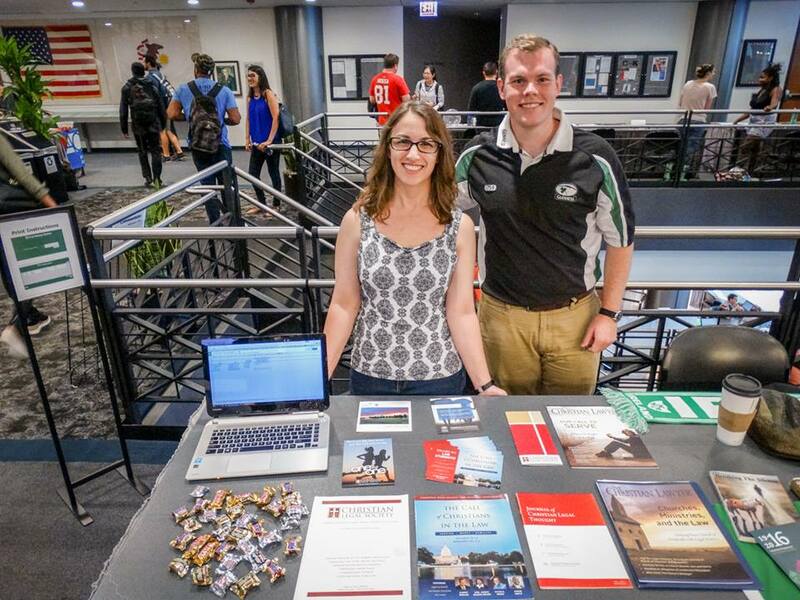 The Christian Legal Society participated in the Student Organization Fair. The table included a wide variety of publications provided by the Christian Legal Society and several partner organizations. Thank you Rachel Augsburger and Bill Cook for running the table! Several students came by to get involved with our chapter. If you’re interested in joining or learning more about the Christian Legal Society, please contact us at ckim38@kentlaw.iit.edu. Rachel Augsburger and Bill Cook at the Christian Legal Society Table during the Fall Student Organization Fair 2016.